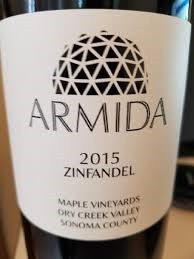 Armida makes small lot, vineyard designated wines from various vineyards in Sonoma County including Pinot Noir, Cabernet Sauvignon, Chardonnay, Sauvignon Blanc and several scintillating Dry Creek Zinfandels like this one from Maple Vineyards. Aromas of ripe blackberry, coffee, chocolate and a subtle background of sweet oak are warm and inviting. But the wine really shines on the palate. Round and juicy up front, it abandons the sofa for a jog in the park turning peppery on the midpalate, zesty and bursting with enthusiasm despite showing some heft. A dusty earth and dried flower component at the end of the midpalate receives textural support from a layer of soft fruit in the bass line with a bristly, chiseled seam on top that launches a long, flavorful finish with good fruit expression all the way to terminus. Celebratory and rousing but it stays connected to its warm, soothing side, a wine of consolation and a fine match for Peter Gabriel’s In Your Eyes. Technical Notes: From dry-farmed 85 yr. old vines, aged for 16 months in a mix of French, American, and Hungarian oak. From fireworks to sapphires, we are fascinated by things that glow and sparkle. This Sonoma-sourced Zin is simply radiant. Intense, dried cherry and pomegranate aromas are set against a soft, background wood note and the fragrance of dusty roads, lightly hued with the scent of thyme. An entre of lusciously juicy, shimmering fruit gives way to a more sculpted, layered mouthfeel as mouthwatering acidity and fine tannins gain the upper hand. Yet a solid core of coriander-inflected, dried fruit ornaments the midsection and persists even as the grain of the tannins thickens and the wine gains an edge. The long peppery finish seems to swell, retreat and then swell again showing a bit of salinity at terminus. It’s a study in how relatively high alcohol can add elegance and intensity. Exuberant and rhapsodic, this complex, multi-dimensional wine is imbued with a spirit of generosity and promise like glinting sunlight on morning waters, its essence resonating with Kate Bush’s The Morning Fog. Technical Notes: A field blend of pre-prohibition, mostly Zinfandel vines yielding just over one ton per acre. 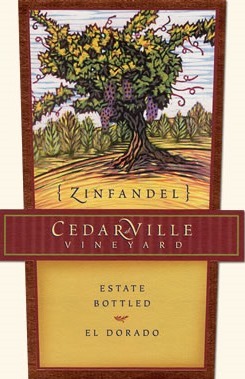 This is high elevation Zinfandel made from organically farmed Sierra Foothills fruit. Situated in the Fair Play region of the foothills with elevations of about 2500 feet, winemakers Susan Marks and Jonathan Lasch continue to operate their winery with no employees doing all the work themselves. A true labor of love. Strikingly smoky, the black cherry and vanilla aromas are inflected by pleasing green hints that remind me of moss-covered wood since there is a hint of earth. Neither overly concentrated nor weighty, lithe and sleek on the palate, there is a slight raisin quality with muted vanilla. The tannins are quiet and refined, giving a gentle urgency to the finish. With a zap of acidity closing the midpalate, the finish refreshes and is fruit driven, ending with some savory bitterness. 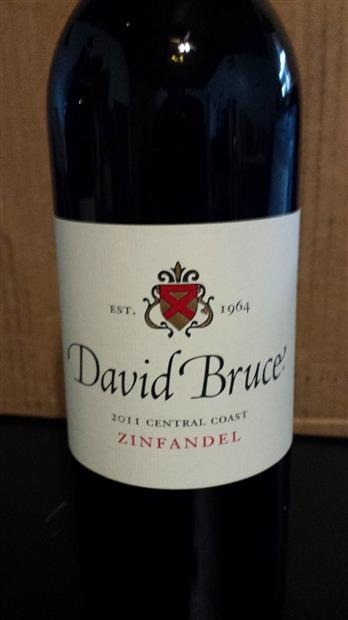 Smoothly textured, almost glassy and persistently juicy throughout the experience, this is no big, brambly Zin. The emphasis is on purity of fruit with those unique smoky notes. A versatile food wine. 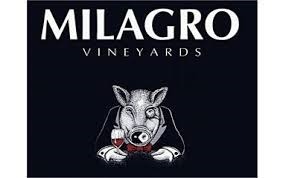 In our recent wine tasting visit to New Mexico, this was the most impressive winery we found A small-production labor of love, located in Corrales just North of Albuquerque, owner and winemaker Rick Hobson is not into growing larger or maximizing profit. It’s all about making the best wine that he can. He has a full line up of reds and whites using exclusively estate or estate-controlled grapes all produced in a distinctly old world, elegant style, no small feat in wine region known for its hot summers. I’ve seldom had a more elegant Zinfandel. The well-developed, complex nose is now showing fig, delicately threaded with earthy dried leaves, baking spices and coffee. Despite the developed nose, in the mouth it’s still fresh and vivacious, with a soft, round introduction, ripe without being too jammy, gathering momentum midpalate with a burst of incisive acidity, and finishing tangy and medium length with fine-grained supportive tannins. Harmonious, in a graceful style with a beautiful, velvet texture. The beguiling juxtaposition of mature nose and youthful, vibrant palate leaves an impression of youthful wisdom found occasionally in wine, seldom in humans. Aged 23 months in used French Oak barrels. What better companion for this reflective yet pulsating wine than some reflective pulsating jazz from Miles Davis. If this wine didn’t exist we would have to invent it because we need morality tales about the decline of civilization and the fall of man. On the nose lots of green vegetal notes and a little smoke kissing the black cherry. If it weren’t for the stemmy, green notes the nose would be pleasant but they hit you over the head, demanding attention, refusing to be ignored. 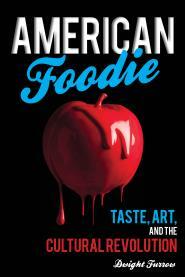 The palate is thin and flat with little flavor up front and absolutely no structure. The tannins don’t fade but scurry like cockroaches afraid of the light, leaving plenty of exposed acidity on the finish, not because the wine has backbone but because what little fruit there is followed the cockroaches. This is just pathetic. The crime is not that people drink this stuff. Some people have bad taste or just don’t know any better, yet we survive. The crime is that someone makes money selling this—people who do know better. I can’t imagine any music making this taste better but if you grab some thin, querulous folk punk from Wingnut Dishwashers Union, out of tune and out of rhythm but mercilessly ending in less than 2 minutes, the metaphorical associations may get you through a glass. I never review wines based on a winery visit. It is hard to be objective when talking to a winemaker, struggling with palate fatigue, or gazing at picturesque vineyards on a lazy Sunday afternoon. But I often purchase a wine and open it weeks later when I can give an individual wine the attention it deserves. I visited the highly regarded Santa Cruz Pinot Noir producer David Bruce last month and tasted through much of their lineup. It was all quite impressive but this wine stood out from the crowd. After opening it at home and sitting with it for a couple hours, that original judgment is confirmed. This wine is delicious. Mocha sits pertly atop dried plum and cherry, gently shading off into thyme. Freshly turned earth tones develop with some aeration. Lush and silky on the palate, rich, soothing chocolate notes cosset the bright acidity that creeps up and announces itself on the finish leaving a clean, fresh impression in the mouth. Tannins are wispy and shy. Nothing too ponderous or profound here, just shapely and tasty, exquisite fruit/acid balance with no taint of excessive oak or over-ripe fruit. Old vines are prized because they produce richer more flavorful grapes although at a much reduced yield. I’m not sure how Bogle makes reasonably priced wines from low yielding vines, but I’m glad they do. Deep, rich blackberry and red licorice compete for attention, enlivened by aromas of pepper, cinnamon and fresh pencil shavings. Some apparent alcohol is distracting. Soft and round but with good acidity and a mineral core that makes the wine feel lively on the palate. A medium length, flavorful finish with soft tannins and no hint of sourness. Nothing surprising; just very solid winemaking. As usual, highly recommended for its value. This wine is like a waitperson who gives you a hearty greeting but can’t get anything right the rest of the evening. Once you get by the alcohol on the nose, it gives rich blackberry with lots of sweet oak and spice. Complex for the price. On the palate, it is very vibrant and juicy up front creating expectations that are quickly dashed by harsh acidity and excessive alcohol that make this unpleasant overall. Very hot and bitter on the finish. Rosenblum is a well-known brand for Zinfandel and I’ve seen this bottling selling for as much as $10. I found it at Trader Joe’s for $3. It appears they have excess inventory—I wonder why? The Guadalupe Valley is producing some excellent wines especially in the premium price range. But the few bargain wines from that area that I’ve tasted have been uneven in quality. 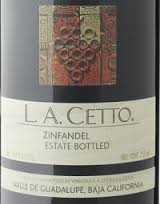 L.A. Cetto is the most recognizable, large production wine brand in Mexico. They have been making affordable wines since 1928, and they have plenty of fans. But I’ve yet to taste one of their wines that was not over-ripe, and this Zin is no exception. 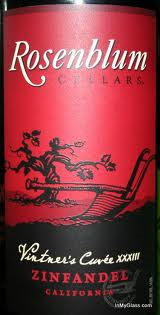 The nose gives raisin and dark plum with some funky earth hidden behind the tomato paste and a strong whiff of alcohol. On the palate, prune and chocolate dominate. Yet, despite the ripeness there is plenty of acidity that makes this a lively drink. Full bodied and viscous with a peppery finish and very little tannin. This is a stimulating wine but, then, not all stimulation is good. It’s bold and invigorating but when you give it your undivided attention the resemblance to prune juice overwhelms. Bogle, as usual, hits the mark with this one, with grapes sourced from old vine vineyards in the Sierra Foothills and Lodi. Good intensity but with some alcohol on the nose. The trade-off is a melange of lovely baking spice notes, red licorice, and bay leaf, with vanilla surrounding the black cherry core. There is enough fruit to leave an impression of sweetness but savory wins the day. Very light and svelte on the palate for Zinfandel. The elegant, vivacious mouthfeel, crisp acidity and soft tannins make this a crowd pleaser, despite a short finish. 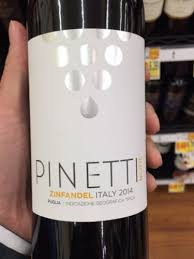 If you’re not a Zinfandel fan try this. You might change your mind. There is not a hint of overripe fruit that often mars this varietal.